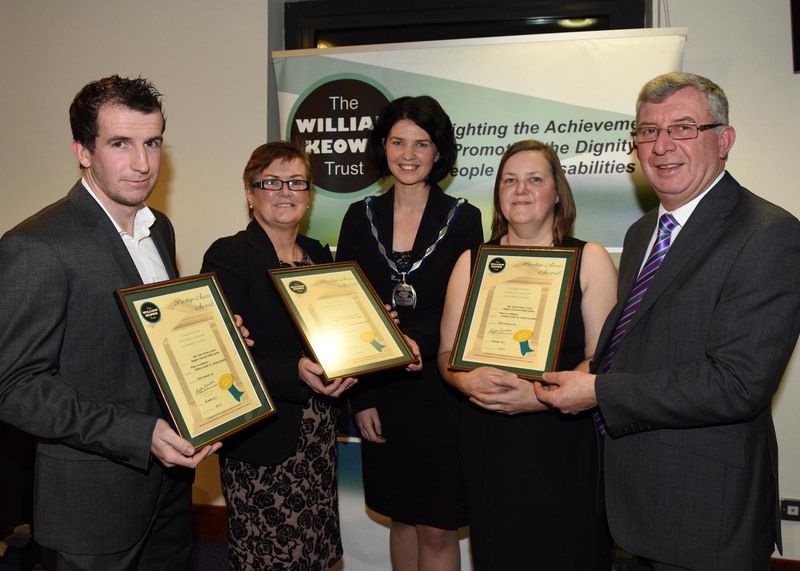 JPM Contracts Ltd were recently presented the William Keown Trust Access Award for the works undertaken at Maghera Community Walled Garden. A bespoke Victorian style self supporting mono pitch green house built on a brick base with complementary cold frames supplied with associated services. Set in formal landscaped gardens with extensive hard landscaping and access paths in various finishes and materials including flexible paving, cobbles, setts and granular compacted surfaces with associated edgings. The ground works included sufficient drainage and provision of services i.e. water, sewage, electrics and associated works. Soft landscaping included supply and planting of certified disease free stock of trees, shrubs & herbaceous plants etc in the context of an estate or formal garden setting. JPM were delighted to receive this prestigious award in recognition of the team’s contribution to providing an accessible user-friendly environment for everyone in the community.